Welcome home! This brilliant Graham II with finished third floor loft is your entertainment setting. First floor offers beautiful formal dining which leads to large open kitchen featuring granite countertops, ceramic tile backsplash and large center island. Oversized deck located off breakfast area is the perfect spot to relax. Hardwood stairs lead to 2nd floor featuring open loft space perfect for home office or lounge area. ​At the end of the day, your grand owners suite is your oasis with tiled walk-in shower and bench seat, separate garden tub and granite vanity top. Schedule a sneak peek today! 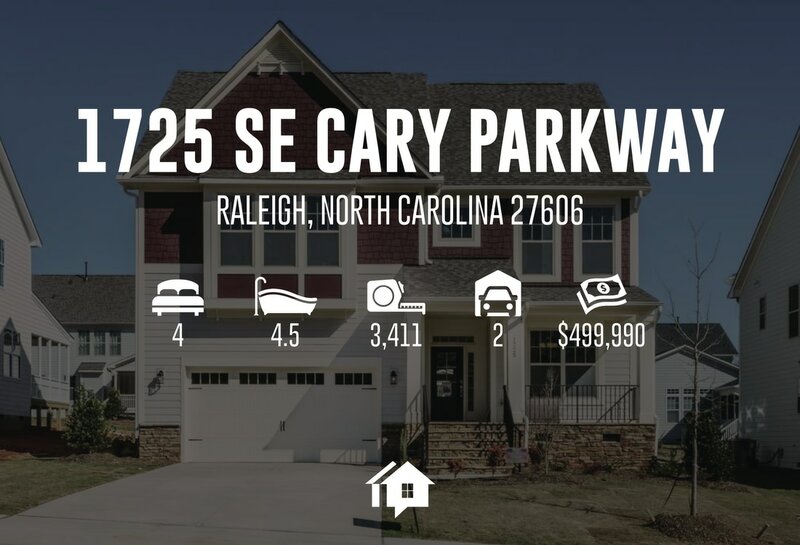 Contact us at 919.641.5819 if you have any questions or simply want to say hello.